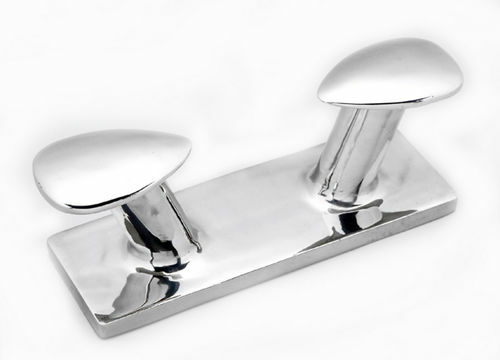 Dock mooring cleat / for boats / double / stainless steel - S12150 - YCH Ind. Corp.
Equipment > Rigging, Marine hardware > Boat mooring cleat > YCH Ind. Corp.
YCH is an experienced manufacturer of marine hardware products. We use high quality stainless steel 316 to produce marine and rigging hardware. For customers' confidence, we provide XRF material analysis, in-house lab certificate and salt spray test report for each shipment. Our goal is to make sure our customers to receive the correct material of the products they demanded!